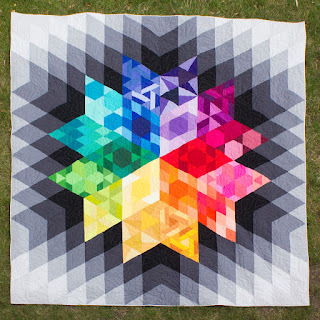 Hi 52 Quilters! My name is Laura and I’m thrilled to spend this week making new quilting friends by participating in this project. You can find me on Instagram @sonicstitches and on my blog. 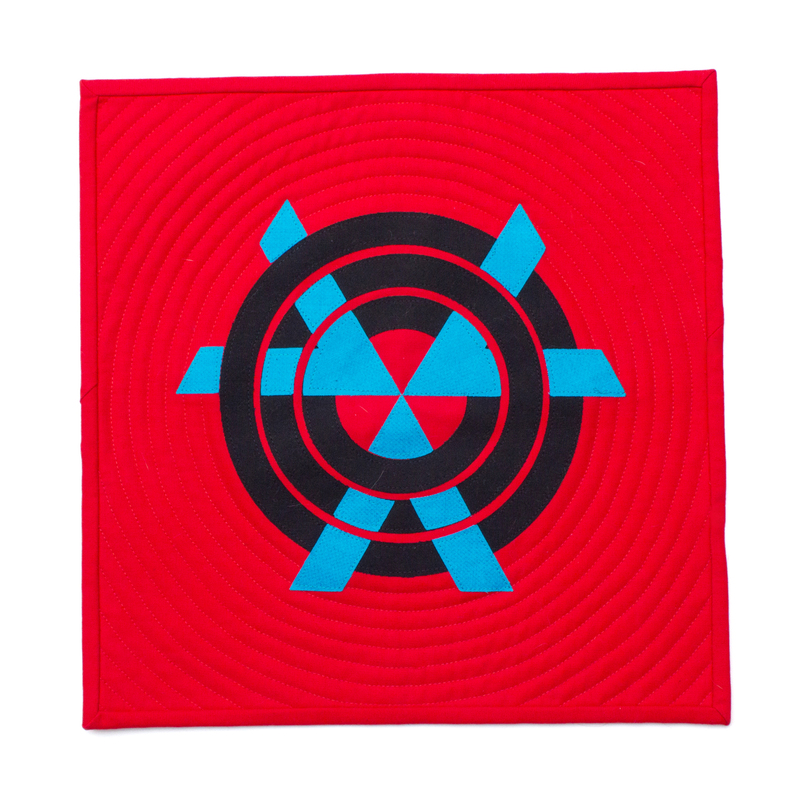 I’m a modern quilter living in the suburbs of Chicago. 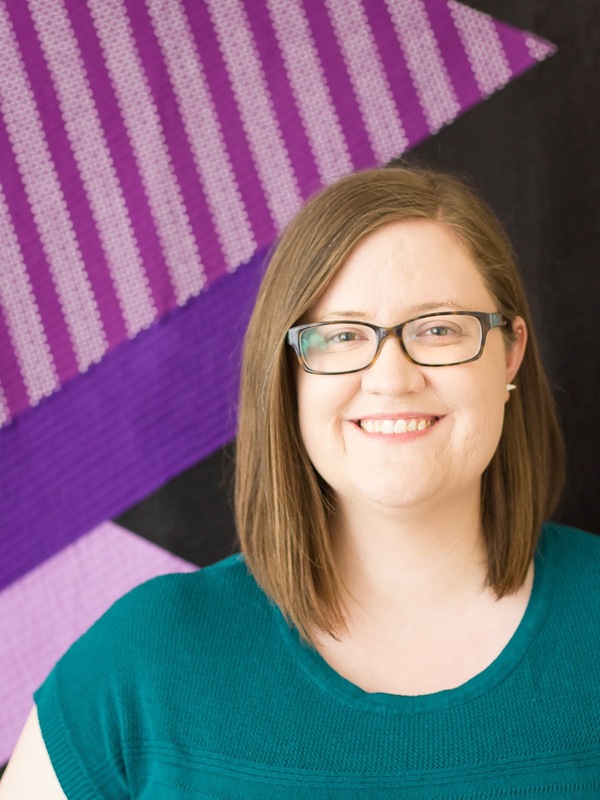 I’m also a museum curator specializing in textile preservation, so most of my life revolves around my passion for textiles. After spending years feeling inspired by the beautiful quilts I saw in museums where I’ve worked, I finally decided to make my first quilt in 2014 and fell in love. I learned to sew in grade school, but had always been intimidated by quilting. Little did I know it would become one of the most important things in my life! I am inspired by music (hence Sonic Stitches) and have made several music themed quilts in the last year. 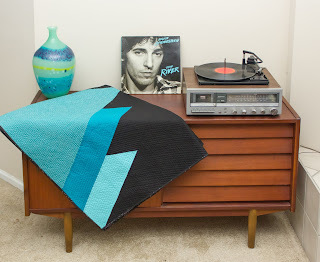 Most recently, I made a quilt for RJR Fabrics titled “The River” inspired by one of my favorite Bruce Springsteen songs. 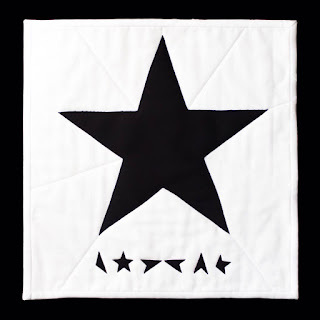 Vinyl Quilts is a project I started in January to create a series of mini quilts the size of LP covers. 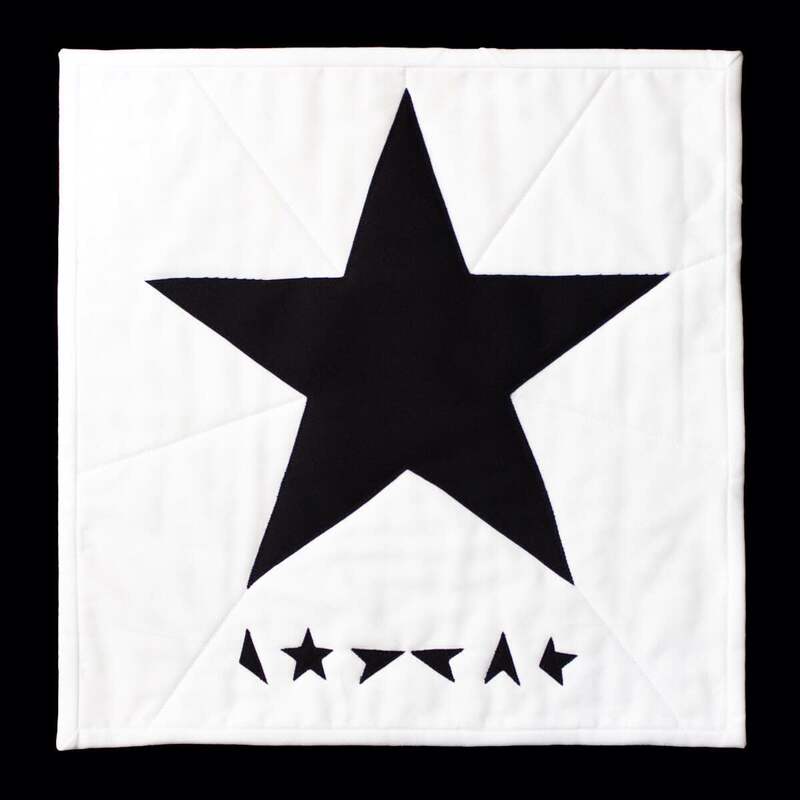 Each mini quilt will reproduce an album cover by bands and musicians who have made an impact on my life. So far I have only made two, but I’m hoping to make my third Vinyl Quilt this week during my 52 Quilters take over! 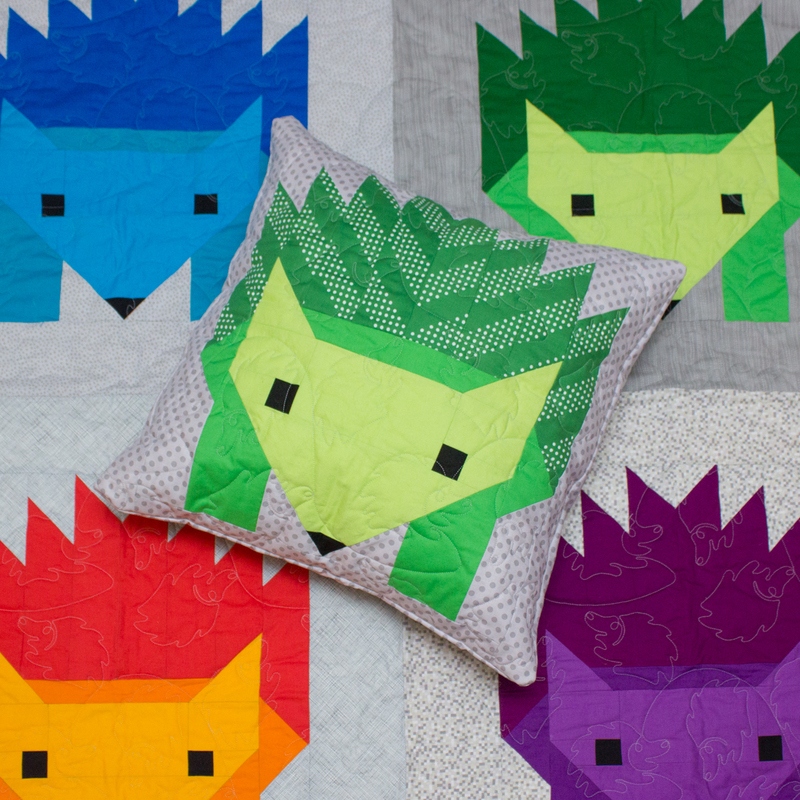 If you scroll through my Instagram feed, you’ll see a lot of rainbow quilts, and a lot of quilts made using patterns. 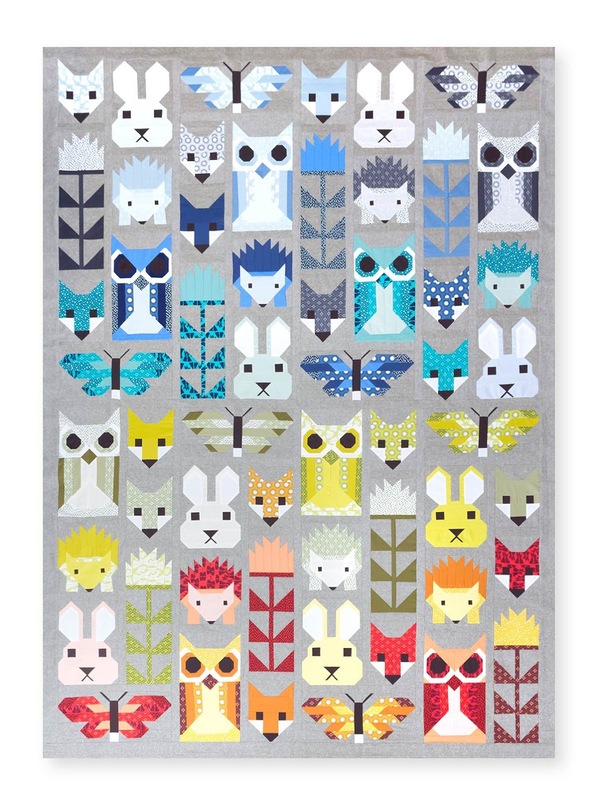 I love finding exciting and interesting patterns and I love making colorful quilts as gifts for friends and family. But the longer I quilt, the more I am finding my own style and voice. I love using black, big shapes, and a limited number of colors and prints. My style continues to evolve, but I love a strong visual impact and I’m hoping to design more quilts myself in the future. Many of my favorite quilt patterns are by Jaybird Quilts. One of my favorite quilts I’ve made from a pattern is her Gravity quilt. Made as a gift for my best friend’s wedding, the Gravity quilt was my first truly big quilting challenge. When I finished, I couldn’t believe I had made such a big and complicated quilt! Making that quilt made me feel like I was up to the challenge and could push myself to try new and difficult techniques as a quilter. 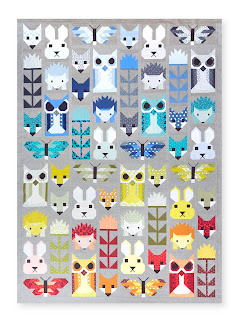 I also love Elizabeth Hartman's patterns and recently finished a huge Fancy Forest quilt that I made as a sample for my local quilt shop, Quilters Quest. I’m participating in 52 Quilters because I love the quilting community! Since I started quilting, I’ve been so lucky to meet amazing new friends. 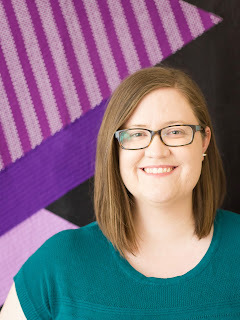 I hope to meet new quilters online and find more inspiration from the amazing talent in our community. So follow me on Instagram @sonicstitches, check out my blog, and have fun learning about my quilts! Beautiful start to your week. I love your use of color and the Vinyl quilts are truly inspiring.